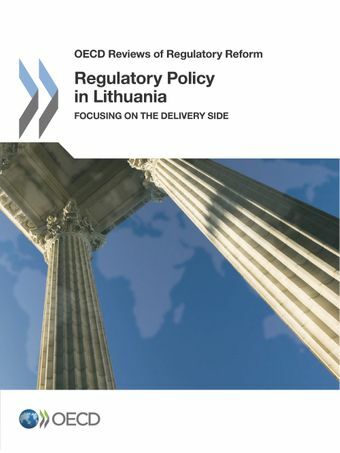 This report addresses the crucial link between developing and implementing regulation, and reviews the ambitious reform programme launched by Lithuania to improve regulations while placing the lightest possible burden on citizens and businesses. The review focuses in particular on inspections and enforcement and on territorial planning and construction permits, which form a crucial part of Lithuania’s reform efforts, drawing on the 2014 OECD Best Practice Principles for Regulatory Policy: Regulatory Enforcement and Inspections. In addition to a set of practical recommendations for enhancing trust in regulatory institutions, strengthening regulatory effectiveness and supporting growth and competitiveness, the review develops an innovative checklist to assess the performance of the inspections and enforcement reform and system and identifies a series of innovative practices that could support other countries’ efforts towards improving the implementation of regulation. For more information please contact Daniel Trnka and Filippo Cavassini.